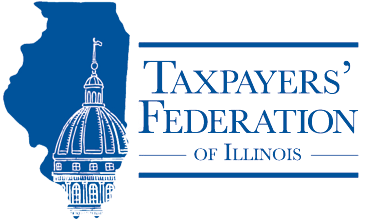 Most local governments in Illinois need no in-house tax expertise, because the Illinois Department of Revenue is responsible for administering most taxes. From time to time, local governments perceive the need to engage outside tax consultants, and the question of how those third parties are compensated has become an important issue. Government agencies charged with implementing and administering tax laws are supposed to collect the proper amount of tax—neither more nor less. Compensating an auditor based on the amount of tax found to be due creates a conflict between the auditor’s self-interest and the government’s responsibility. Contingency fee arrangements encourage aggressive positions and behavior—if the auditor pushes for an unreasonably high amount, the amount ultimately collected through settlement or if the taxpayer simply gives up will be higher as well. Auditors earning a contingency fee have no motivation to find errors in the taxpayer’s favor or to consider mitigating factors or policy concerns, all of which are important factors of a properly-conducted audit. One of the fundamental underpinnings of a voluntary tax compliance system is the public’s confidence in the fairness of the system. The perception that a tax audit is really a bounty hunting exercise, that auditors are looking to maximize their profit rather than determine the correct amount of tax, seriously jeopardizes that confidence. The National Conference of State Legislatures, the American Institute of CPAs, the Tax Executives Institute, and the Council on State Taxation all oppose contingency fee tax audits. These groups are concerned about the same potential problems: contingency fee auditors are motivated to collect the maximum amount of tax, not necessarily the correct amount of tax; and taxpayers lose faith in a system perceived to be based on a shakedown. While the parade of horribles sometimes associated with contingency fee auditors and seen in other states is not yet present in Illinois, we should be vigilant in protecting our taxpayers and the state tax system’s integrity. Other states allowing third party audits have banned contingency fee arrangements, and audit firms operating there have continued to flourish. The AICPA and state CPA societies understand the attractiveness of contingent fee audit arrangements to augment revenues for state and local jurisdictions. However, the financial benefit from contingent fee audit arrangements is not worth the many negatives arising from such arrangements, including primarily that they likely will compromise the integrity of the tax system. Although contingency fee audits have some superficial appeal because they limit governments’ out-of-pocket costs, they undermine the fairness and impartiality essential to the sound functioning of the tax system and consign what has historically been a core government function to a for-profit, unregulated enterprise. Because the policy objections to contingency fee audits are overwhelming, Tax Executives Institute (TEI) urges States to renounce their use for all types of taxes, fees, and unclaimed property audits. When States and localities enter into contingent-fee arrangements with third parties for tax audit and appeals services, they create incentives to distort the tax system for private gain. Such arrangements jeopardize the neutral and objective weighing of the public’s interest and instead create a direct economic interest in the outcome of the services rendered. Consequently, such arrangements must be avoided.